As the UK’s 5th largest city, Sheffield is a popular choice of university for both UK and international students. It has a bustling nightlife with around 70 venues for gigs and many festivals which are enjoyed by the city’s resident student population of 60,000. Apart from evening entertainment, Sheffield boasts top-class sports facilities as well as a wide range of shopping facilities. Although it has a reputation as an industrial city (notably for the manufacture of stainless steel), the city is made up of 60% greenery and is within easy access of the beauty of the Peak District. What student loans are available to study there? The tuition fees for UK and EU students are £9,250 per year and £13,250 for international students. UK and EU undergraduates are eligible for a loan from the Student Loan Company, and this money is paid directly to the university on their behalf. To cover their living costs, they’re also entitled to a separate loan. The amount they receive depends on their household income, so parents might be expected to make a financial contribution. The sum they receive as a maintenance loan is a maximum of £8,700 per year (paid in 3 termly instalments). These loans don’t have to be repaid until the April after they graduate (if they’re employed), but only if they’re earning over the threshold of £25,000 per year. According to the NatWest student living index (2017), Sheffield is in the top 10 of the cheapest cities to live in the UK. Despite this, it’s often difficult for undergraduates to make their loan last for the whole term. For this reason, many undergraduates take on a part-time job to help them supplement their student financing package. In an emergency, they can also borrow money on demand from Cashfloat direct lender until they receive the next instalment of their student loan. What support is available from Sheffield Hallam University? For many university students, the first year at university is often the worse. Not only are they trying to cope with an unfamiliar environment and get used to how different higher education is to school, but they might be suffering from feelings of homesickness too. For many students, it’s also the first time that they’ve had to be responsible for managing their own money. Sometimes when they receive their first loan payment, it might be a temptation to blow it all in one mad spending spree. For this reason, the Students’ Union Advice Centre is there to offer emotional support and practical advice about everything from future careers to drawing up a budget. 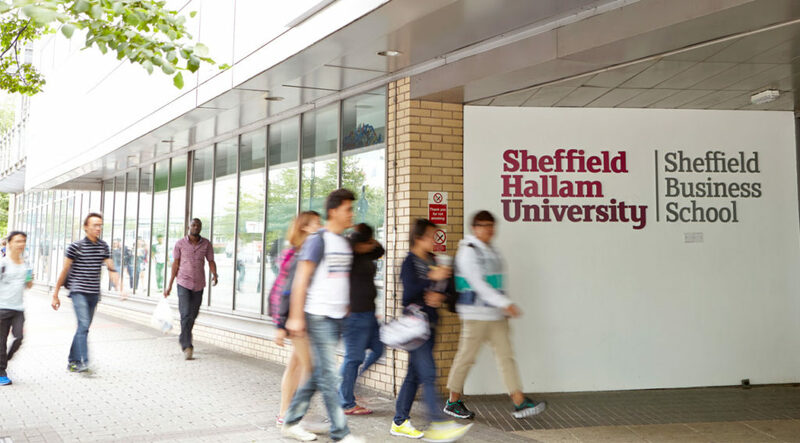 If undergraduates have financial difficulties coping with their student loans, Sheffield Hallam University has a separate £5 million fund which it awards to students in need in the form of additional funding and/or scholarships. It’s often a good idea for students to find out if they’re eligible for extra funding when they attend an open day at the university and before they make an official application to attend.